The band Purple Rainbow no longer exists. This website is kept online on request of - and with respect to - our great friend and founder of the band Mario, who passed away on June 11th, 2015 (please see the homepage). You can find an archive of all the concert dates below. Thanks for being there. Deurticket: € 16,00, voorverkoop: € 15,00. 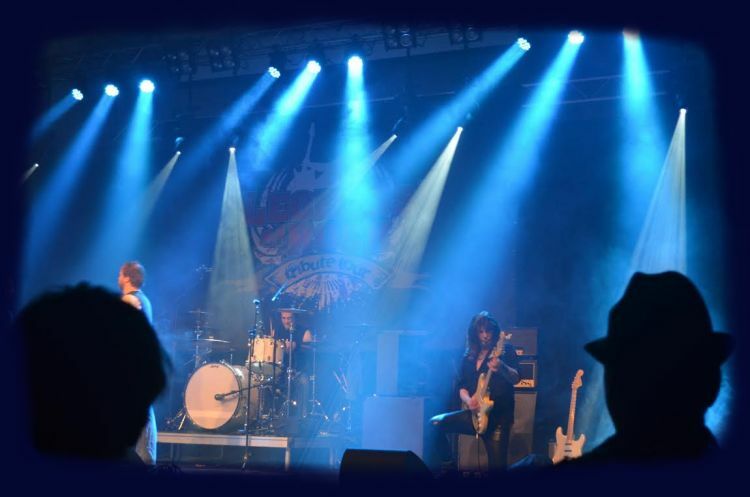 Legends of Rock festival, with the bands Black Rose (Thin Lizzy) and KOYLE (rock). Location: Wilhelminastraat 1, 6161 SX, Geleen. Zaal open: 20.00 hr. Aanvang 20.30 hr. Tickets € 15,-, in de voorverkoop € 10,- . Verkrijgbaar via: cafezaaldereunie.nl, artistsandbands.nl en ticketmaster.nl. Tribute to Classic Rock, with the bands Steeler (tribute to Led Zeppelin) and Fan Halen (tribute to Van Halen). Location: TriPodia, Hoornesplein 155, Katwijk. Kaarten € 15 in de v.v.k of € 17,50 aan de zaal, via www.tripodia.nl en www.rock4life.nl. 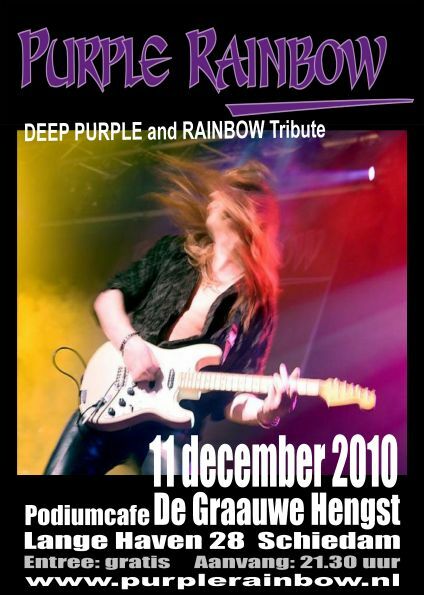 Tribute Night for the voice of rock DIO. Together with the band Holy Diver. See the promo here ! With the band RammBamm. Tickets and more info: artistsandbandsbv.nl ! Doors open: 20.00 hr. With the band AmpSalad. Tickets and more info: muziekcentrumthebox.nl or artistsandbands.nl ! Doors open: 20.00 hr. Legends of Rock, with the bands In the name of (U2) and Steeler (Led Zeppelin). For tickets and info click image below! Legends of Rock. For tickets and info click image below! Support act for "The Treatment"
Rooster Rock Promotion. With the bands Parris (Tribute to Thin Lizzy) and Quotation (Status Quo Tribute). Haven 29, 3243 DC Maassluis. Aanvang 21.00 uur, entree 10 euro. Dommelsch Clash of the Coverbands. Click thumbnail for more info! With Kiss Foreverband (more info). With Silverpill - Tribute to Black Sabbath (more info). With Somewhere on Stage - Tribute to Iron Maiden (more info). 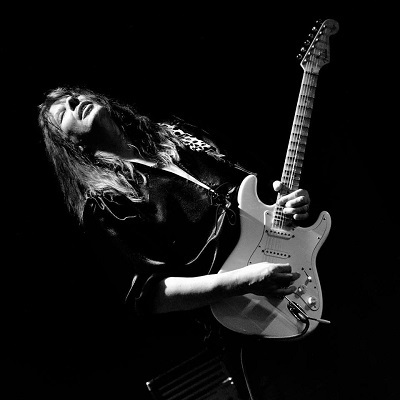 Classic Rock Fest with Vinnie's Vice (Tribute To Jimi Hendrix/Stevie Ray Vaughan) and Who's Next (Tribute To The Who).